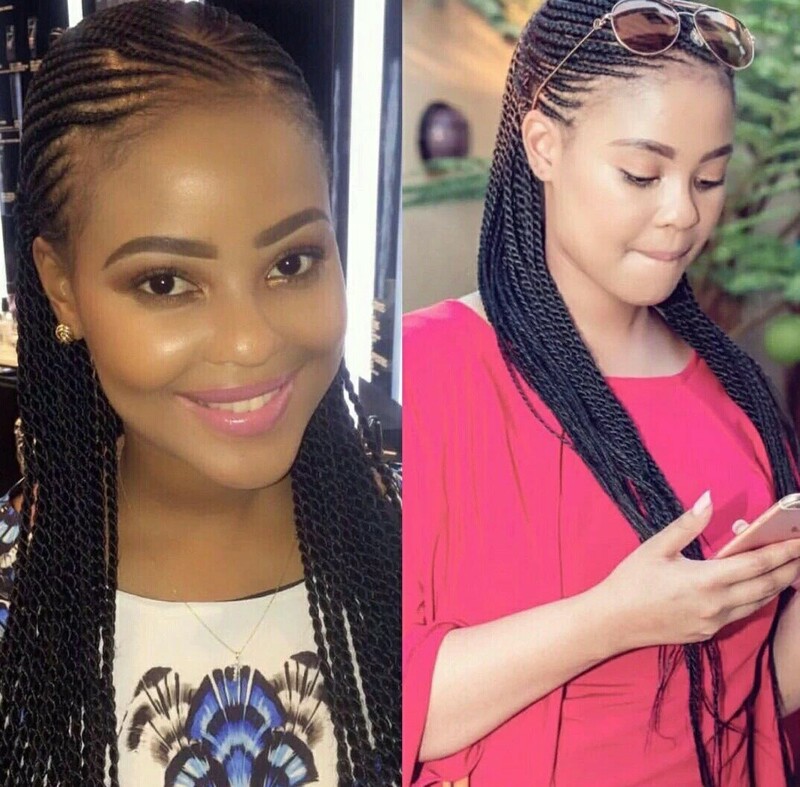 ​A South African socialite, Karabo Mokoena was reported missing on April 28, 2017. 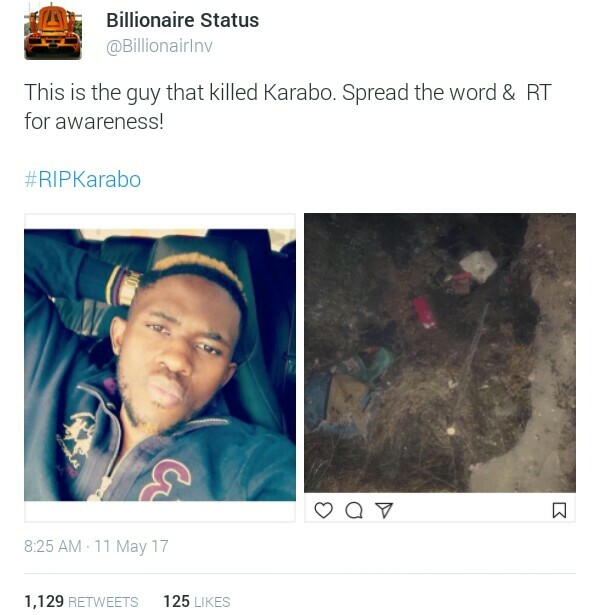 Her father took to social media, sharing photos of Karabo and asking anyone with information on her whereabouts to contact him. 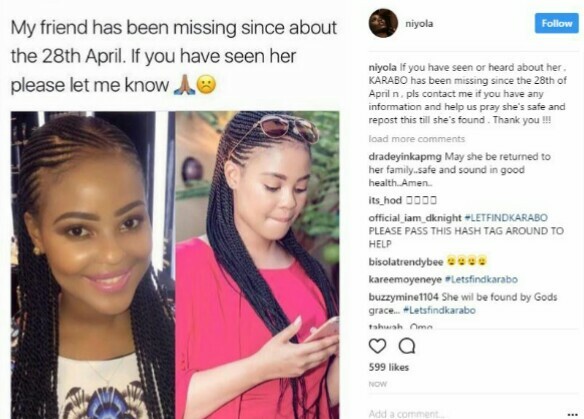 Nigerian singer Niyola, who was friends with Karabo also announced on her Instagram page that Mokoena was missing, urging anyone with useful information to reach out to her. 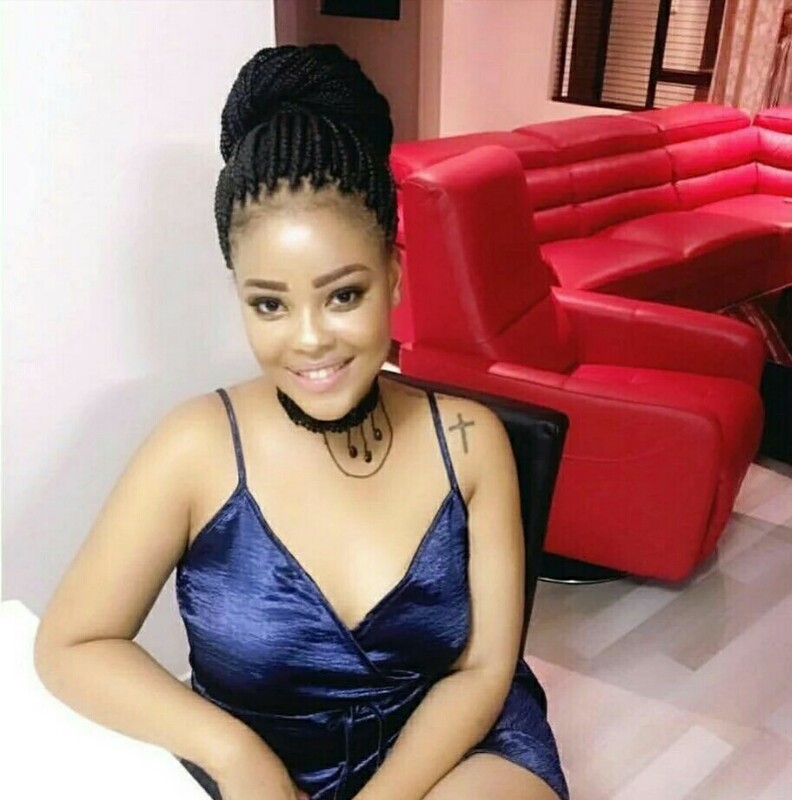 However, in a gory turn of events on May 11, Karabo’s father announced on Facebook that his daughter was murdered by her boyfriend who confessed to burning her body. 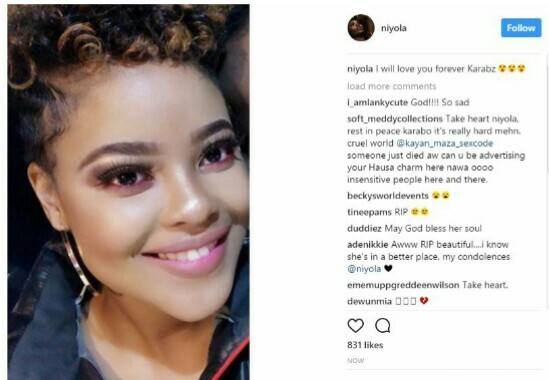 After news of Karabo’s death hit the web, Niyola shared a screenshot of the last conversation she had with her friend, hinting that Karabo had been in a troubled relationship and they often talked about it. 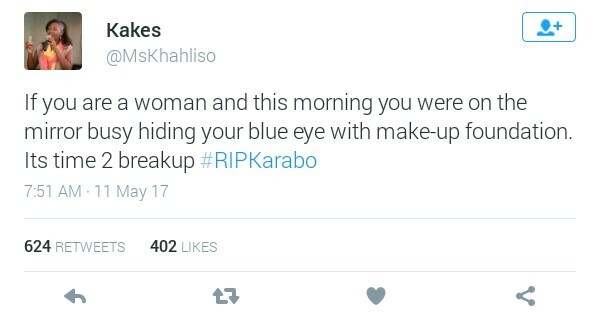 Tributes are pouring out to the beautiful Karabo on social media with the hashtag #ripkarabo. 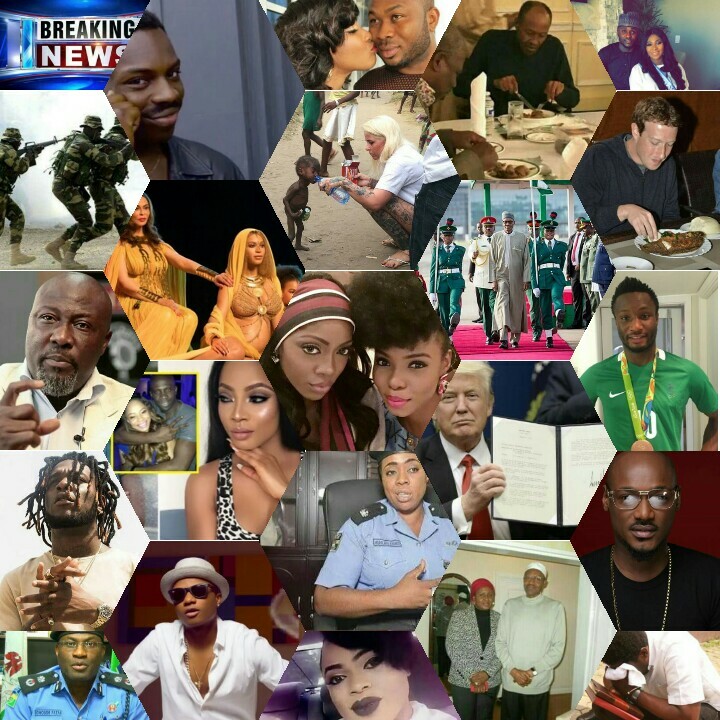 The hashtag has also been used to create awareness on the prevailing domestic violence affecting women. 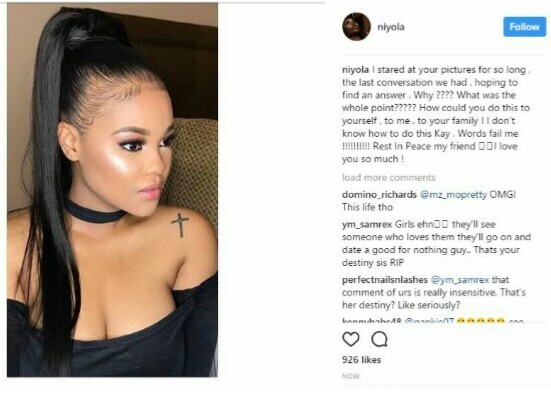 Why will men, so important in murder? I hate killers. If u know u are a young laddy, and ur husband is treating bad or treatened to kill u, pls call dis number 08140325638. 09027798596. Pls dont delay u might be killed. 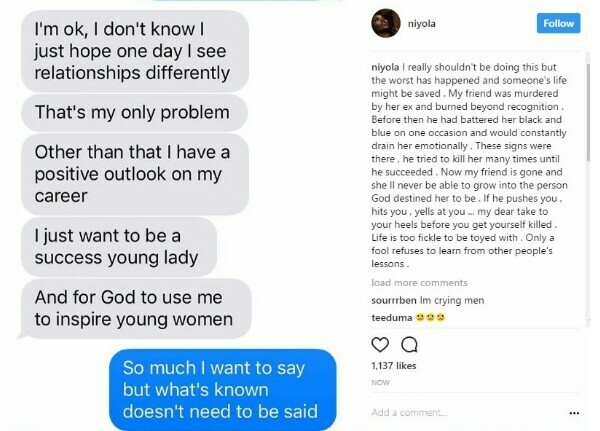 Why will men, so important in murder? I hate killers. If u know, u are a young lady, and ur husband is bad or treatened to kill u, pls call dis number 08140325638. 09027798596. Pls dont delay u might be killed.